Victoria Boutenko teaches coping techniques that help you stay raw in this “cooked food” world. Overweight, loaded up on steroids and suffering from a debilitating autoimmune disease, Joe was at the end of his rope and the end of his hope. With doctors and conventional medicine unable to help, Joe traded in junk food and hit the road with a juicer and generator in tow, vowing only to drink fresh fruit and vegetable juice for 60 days. Across 3,000 miles Joe had one goal in mind: To get off his pills and achieve a balanced lifestyle. "I was so inspired after watching this movie I pulled my juicer out of the closet and I'm heading to Whole Foods today to pick up some good veggies and fruits. OK, I'm not overweight by hundreds of pounds or much less even fifty but I constantly battle with my weight going up and down 20-30 pounds. When I lose the weight I always feel so great but inevitably real life sets in and I find myself reaching for the wrong foods. Just to watch the weight loss of these two guys, Joe who made the documentary and Phil whom Joe met on his path across America during his 60 day juice fast, and seeing their life transform was amazing. Of course I realize that a juice fast may take the weight off and then after the fact I am left with the daily choices again but I really need to make a change for good this time because when the weight creeps up so does my blood pressure and I do not want to end up on medication. So I am trying the 10 day fast and at the same time I am going to overhaul just how I eat in general. I already know I can lose weight with lowering my carb intake so I am going to combine that with working some raw foods into my daily living after I do the fast. I will report back in about two weeks. "Joe Cross, our hero in "Fat, Sick, and Nearly Dead", an inspiring documentary, is both overweight and has a serious medical problem to boot --- an auto-immune disease that requires 15 milligrams a day of Prednisone. That dosage guarantees long-term adverse side effects. Although his physical challenges are serious, if not dire, Cross is a successful businessman. Facing progressive deterioration of his health, he decides to aggressively address his compromised vitality, and has the financial wherewithal to do so. Cross leaves his Australian home and business for the United States --- his "home away from home" --- and goes on a physician-supervised 2-month juice fast. He spends 30 days in New York City, and the second 30 days travelling by road from East to West. Along the way he talks to people everywhere he goes, promoting the virtues of juice fasting. Two of the folks he meets are moved to join him. The first, a woman who suffers from migraines also suffers the juice fast, but finds non-pharmaceutical relief from her debilitating attacks and integrates juicing raw fruits and vegetables into her life. The second is Phil, a truck driver Cross meets at a truck stop. This is the first person Cross has met in his life who shares his precise diagnosis. Phil, who weighs over 300 pounds, initially refuses Cross' help, and that's that. About 50 minutes into the film Joe Cross is all better. He's back home and back at work in Australia, living his newly-minted lifestyle, off of Prednisone. Wait! I'm confused. It's too soon in this movie for our hero to have banished his adversary. Aha! Cross listens to his U.S.-based message service and hears a message from Phil. Help! I gotta tell you, this is story-telling at its finest. Life sometimes emulates great screenwriting. Joe Cross immediately flies back to his home away from home, and supports Phil in doing just a 10-day juice fast which quickly leads to a complete lifestyle change for Phil Riverstone. He loses a massive amount of weight, starts excercising, stops driving trucks, and leads groups at his local health-food store in incorporating juice fasts into their lives --- kinda like the good twin of The Who's "Tommy". "I was fortunate enough to be at the premiere screening at the Sonoma Film Festival this year. The film is about Joe Cross, a businessman from Australia who's health was absolutely in shambles. He had a rare autoimmune disease and was in regular pain and had to take multiple medications to counteract the symptoms. He finally decided enough time was already wasted on treating symptoms and he wanted to treat the cause. He decided to take a 60 day tour of the US (30 in NYC and 30 spread throughout the rest of the country) to reboot his body and immune system with nothing but raw vegetables in juice form. Joe's story alone was moving enough, but in Arizona Joe met Phil, a truck driver with the same autoimmune disease and even heaver than Joe had ever been. This is really the point where the story took a fantastic turn. Joe realized this film isn't just about him becoming healthy, its about educating people to how important simple nutrients are. I highly recommend seeing this film. Even if you don't follow Joe's methods for juicing and rebooting, it still creates a great drive to be more conscious of the quality of fuel we put in our bodies every day." By Brian C.
What began as the story of one man, is now a story about millions. After the film "Fat, Sick & Nearly Dead" documented his 60 day juice fast, Joe Cross vowed never to go on camera again. Since then, more than 20 million people have seen the film and Joe realized there's still a lot for him to learn about becoming healthy and staying that way. 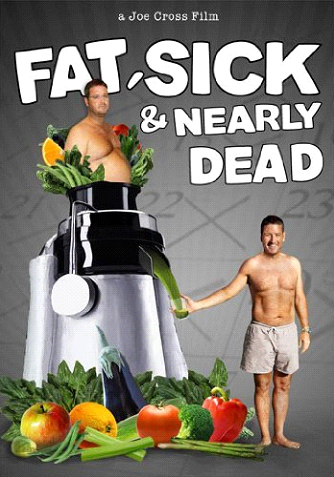 "Fat, Sick & Nearly Dead 2" taps into the tsunami of positive change that's sweeping the world when it comes to what we eat. As Joe sets out to learn how to be healthy in an unhealthy world, he talks to a wide range of experts, follows up with folks from the first film, and connects with new people along the way. Each one helps Joe learn that healthy eating is only one aspect of living a healthy life. From stay-at-home moms to world-class surgeons to office workers in Kenya, it seems like everyone is trying to be healthier, yet struggling to do so. While on the road, Joe experiences some ups and downs when it comes to managing his own weight. EXCELLENT! Kudos to Joe Cross! This DVD is the sequel to his first "Fat, Sick and Nearly Dead" DVD. Essentially, it is six years later and Joe is back on the road interviewing and chatting with people all over the world. Of course he doesn't tell us anything we don't already know... vegetables and fruit are good for you... processed food is not. This particular DVD is different from the first in that he speaks to more families and the emphasis is on support from family members and the community you surround yourself with. It also focuses on how important it is for children to develop good eating habits. Exposing them to juicing and being a part of preparing the family meal. Joe is not unrealistic and even admits that his weight fluctuates due to stress and being on the road and how he reboots to get himself back on track. He also has a section where Phil is back. Phil was in the first DVD and lost an immense amount of weight. I won't tell you where he is right now in his life... no spoilers alert... watch the DVD! You are certainly not going to "learn" anything from this DVD that you don't already know but you will be motivated to do something about your own health and perhaps your family's as well. I like to occasionally pop one of his DVD's into the TV and just play it as i do my things around the house. In the background, I hear the dialogue and it reminds me to get on track and be responsible for myself. This DVD also incorporates some kitchy tunes and cartoons professing the benefits of a pant based diet. It's like Joe's answer to all the fast food commercials we are constantly being bombarded with everyday in all forms of media, TV, radio, magazines and newspapers. I also have his book, The Reboot with Joe Cross Diet. It's ok... but you don't need a cookbook to tell you what vegetables to throw into the juicer! If I had to rate his products i would say the first DVD is his best followed by this second DVD and the book is a far away third. If you have young children though.. this second DVD would be better because of the presence of so many children in their families. The essential message is to just do it and if you lose focus, reboot! I was really excited to watch this since I LOVED the first one and I am a big Joe Cross fan. First off, nobody makes health documentaries like Joe. I have watched MANY of these documentaries on Gaim TV and the production value, information and entertainment value of Joe's movies is the best. I am also a juicer and I did a reboot for 45 days this year and I am a member of the online reboot community. Having said that I felt like this video just did not have the same emotional punch that the first one did and it did not make me want to jump off the couch, grab an green juice and go running like I did when I saw the first one. (However there is a "surprise" about half way in the movie that broke my heart and made tears come to my eyes.) I think the main difference in this movie and the first is that the focus is broader and it is more about what happens after the diet or reboot. This really is a follow-up movie literally in that the movie shows us what Joe and others have been doing in the five years since the first movie. Joe is very honest in this movie and at one point even shows a graph of his weight starting at his heaviest and going to the present and he talks about the fact that he is twenty pounds heavier that he was post reboot and that his weight has fluctuated and even gone higher based on certain things that were happening in his life. He even admits that now he does about 40% fruits and veges, 30% animal products and 30% processed food. He is still off medicine and looks, and claims to feel, very healthy. I was not thrilled to hear his ratios but as he pointed out most people are 5% fruit and veges and the remaining 95% is animal products and processed so he way ahead of the majority. He also has spent the majority of the time in between the movies living on the road traveling promoting his Reboot company so the fact he has been able to maintain his weight at a healthy level is to be admired and taken notice of. In fact the last part of the movie talks about why Joe has been able to live a hectic life and maintain the majority of his weight loss and continue to eat a much healthier diet than the standard person while others who have rebooted and tried to lose weight have "failed" and stopped eating healthier and gained all or even more of the weight back. Some people might not like this section because it "plugs" his Reboot web site and online community but I do not have a problem with that especially since the site is free. 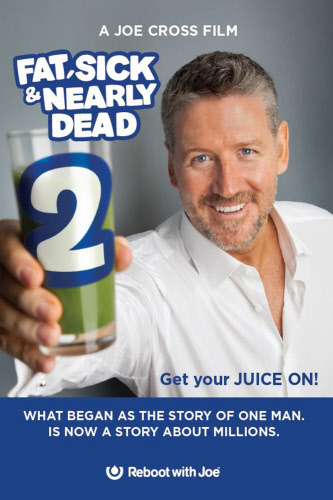 (In fact now that I think about it this movie is pretty plug free since he does sponsor a line of juicers which are never mentioned and he also has a line of juices - or did - that he does not mention either and other than showing him at book signings it does not even mention his recipe books.) As the movie powerfully makes clear with the "surprise" guest, many of us eat for many reasons other than the fact that we are hungry. One of the biggest reasons for emotional eating is and not feeling connected to a person or a community. For many people the only true support they get when changing their lifestyle is from others who are doing the same which is why the internet can be almost as big of a factor in our success as the food itself so showing the reboot community is actually a good thing. Also, I think the movie could have been more powerful if it focused more on why we make choices we no are bad and turn away from things we know from past experience will make us feel better and talked more about how to deal with that. I also think people who are looking for an action plan might be disappointed that other than saying eat more fruits and vegetables and exercise more the movie does not really give any guidelines. In fact he really only spends about five minutes going over rebooting but he does use one of his great cartoons to illustrate who a reboot can get you back on track. He does surprisingly spend much more focusing on getting children to eat healthier and demonstrates that if you can get the children on board it is easier to get the parents eating healthier too instead of going about it the other way. Spread through out all of this is submitted videos by people who juicing has had positive changes on talking about a whole range of topics about their journey. Instead of trying to really push a diet agenda here the general idea here appears to be that what we should be doing and we need to try to move toward increasing our fruits and vegetables and making better choices for us and our family. Is that a middle of the road idea? Yes, it is but slow and steady in the middle of the road is often the way to get somewhere when the journey is so important but feels so far. Great documentary! Even better than the first because you can see some of the main characters in the first one six years later and see the impact their new way of life has had on them. It brought me tears at times. 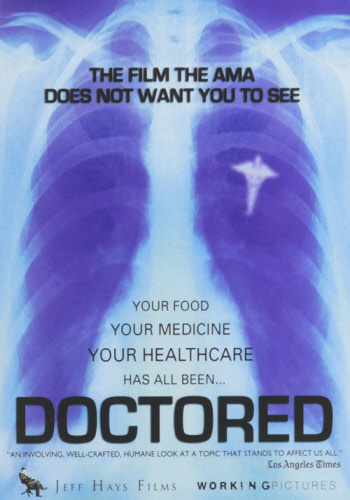 Producer-Directors James Colquhoun and Laurentine ten Bosch, in a mission to uncover the truth, have tracked down several of the world’s leaders in nutrition and natural healing in order to provide people with the most up to date information on healing disease naturally. 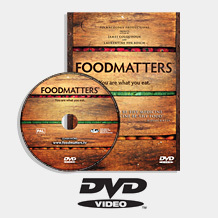 Food Matters is a documentary film informing you on the best choices you can make for you and your family's health. Helping you save time, money and effort. 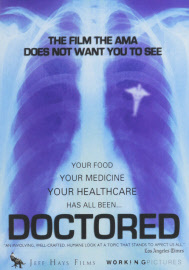 Food Matters' is a hard hitting, fast paced look at our current state of health. Despite the billions of dollars of funding and research into new so-called cures we continue to suffer from a raft of chronic ills and every day maladies. Patching up an overtoxic and over-indulgent population with a host of toxic therapies and nutrient sparse foods is definitely not helping the situation. In a personal quest of discovery the producers have set out on an independent mission to uncover the wholesome truth. The filmmakers have interviewed several world leaders in nutrition and natural healing who claim that not only are we harming our bodies with improper nutrition, but that the right kind of foods, supplements and detoxification can be used to treat chronic illnesses as fatal as terminally diagnosed cancer. ‘Food Matters' seeks to uncover the business of disease and at the same time explore the safe, cheap and effective use of nutrition and supplementation for preventing and often reversing the underlying causative aspects of the illness. With the premise of the film being: access to solid information helps people invariably make better choices for their health. The ‘Food Matters' duo have independently funded the film from start to finish in order to remain as nbiased as possible, delivering a clear and concise message to the world - Food Matters. Lose Weight Fast in a safe, cheap & effective way and how one man lost over 150 pounds!!! 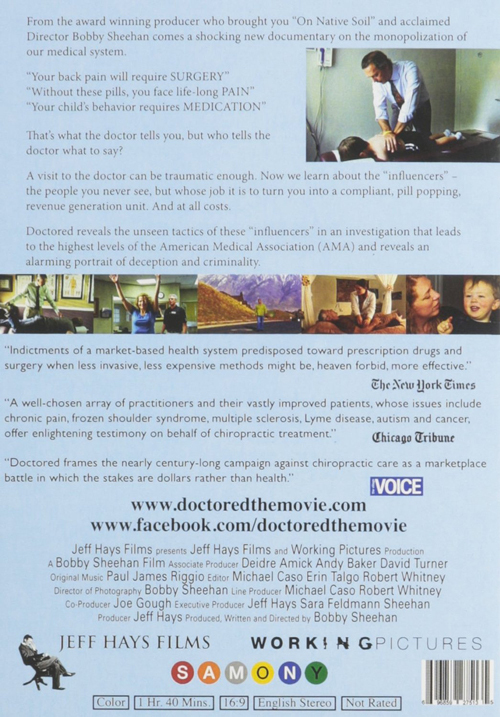 In this day and age with so many companies interested in profiting from your misfortune and ill health this film will help keep your money in your pocket and your health in your hands. Knowing what to do and where to turn has become unbelievably complex. Find out what really works, what doesn’t and what’s killing you. Becoming informed about the choices you have for your health and wellbeing can save your life. "Food Matters is a must see for those looking to take control of their health"
" Remember when The Secret created a huge online buzz last year? Well, new doco Food Matters looks set to be its successor..."
"FOOD MATTERS is invaluable - engaging and inspiring..."
An inspiring and informative lecture with Victoria Boutenko. This DVD is saturated with ground-breaking new information, presented in a clear and simple way! This is the latest version of various people sharing their ‘It worked!’ story. This movie was created spontaneously from scratch, without any scenarios, or rehearsals. Watch Sergei being funny, serious, goofy, smart, at play, at work, and, of course, preparing and enjoying delicious raw food. A sincere and heart-warming Lecture with Victoria Boutenko. 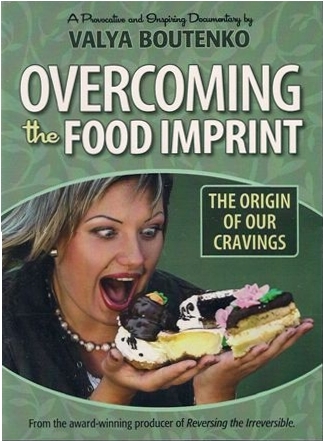 In this DVD Victoria tells her remarkable raw food story, and explains the 4 levels of addiction to cooked food. If we all know how to eat healthier, then why don't we? Why do we sometimes read for the refrigerator door when we're not really hungry? What are the origins of life-long food cravings, patterns, and preferences? How can we transform destructive eating patterns and become free of compulsive eating? What can be done to form healthier habits for life in children? In this intriguing documentary, Valya interviews health experts, authors, teachers, psychologists, children and people on the streets. The second half of this film looks at the reasons why children, loved ones, and friends often respond to diet-related advice with resistance and even defiance. This section is dedicated to working with the defensive reaction, and communicating in a kind, loving manner that supports positive growth and change. Valya Boutenko has been a raw foodist for 15 years and is a certified raw food chef. She has recently graduated from Southern Oregon University with a Bachelor of Arts. Valya has been researching ways of inspiring children to eat healthier. She is th eco-author of the books Raw Family, Eating Without Heating, and Fresh as well as the producer of the award winning documentary Reversing The Irreversible. Valya is a student of The Work of Byron Katie and of Marshall Rosenberg's Nonviolent Communication. Victoria demonstrates how to prepare 14 raw gourmet dishes in a very simple way. Lots of helpful tips! Full of humor! Excellent material! While traveling around the Unites States and Canada teaching about the raw food lifestyle, Valya Boutenko has encountered many Individuals who improved their health naturally. Inspired by their stories, Valya decided to film some of the most amazing turn-arounds and to share them with the rest of the world! A raw foodist for 15 years, has recently graduated from Southern Oregon University with a Bachelor of Arts in Fine Art. Valya is a certified raw chef who specialises in desserts. She is the co-author of the books, Raw Family, eating Without Heating, and Fresh as well as the co-producer of the award winning movie, Interview with Sergei Boutenko. She has been researching the ways to inspire children to eat healthier. She practices nonviolent communication and is a student of Byron Katie. Valya enjoys gardening, dancing, sewing and painting. She continues traveling worldwide sharing her gourmet raw cuisine and her inspiring story of change, and determination. Various medical Doctors, along with George Malkmus explain how the body was designed to function, and how different kinds of food affect body functions, Learn more about your self-restoring body.